After last week’s post about how to roast a turkey, we got several requests to post how to make gravy. 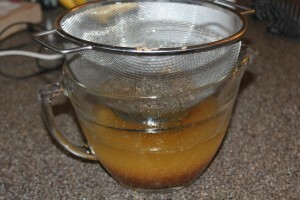 So this week’s recipe, we will share our quick and easy method to making turkey gravy using the drippings from the pan. This method could be used for any roasted turkey, chicken, or even a pot roast. 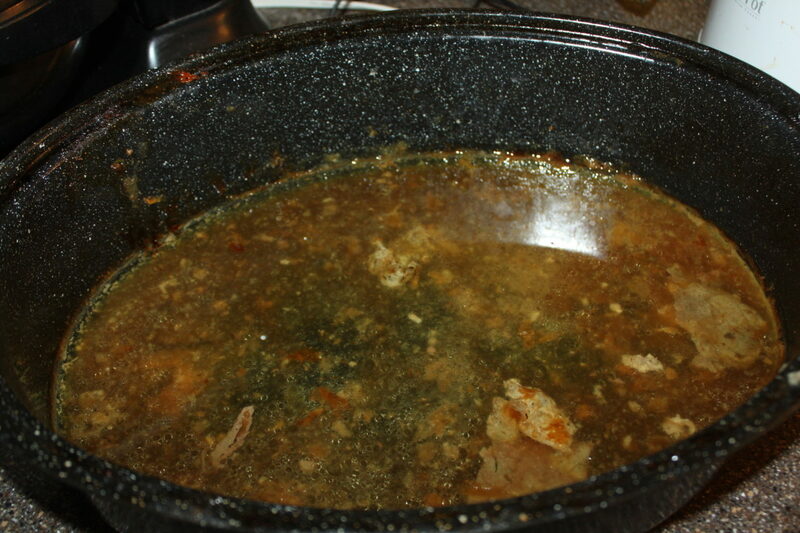 There is plenty of time to make the gravy while your meat has been removed from the oven and is resting. There are a lot of gravy recipes that can be made ahead of time, using stock, multiple vegetables and seasonings. However, we believe that the best gravy comes from the pan drippings – you’ve already seasoned the turkey, so why not use it? 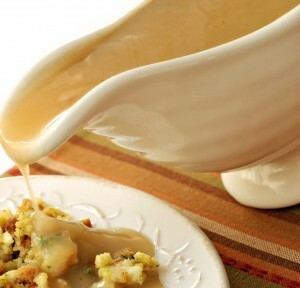 The key to making smooth gravy is to keep the heat low and to whisk, not stir. You also must ‘cook’ the gravy and allow it to simmer which gives the flour time to blend with the drippings and stock – otherwise you end up with gravy that tastes just like flour. By following the simple recipe below, you will end up with smooth and great tasting gravy each and every time! 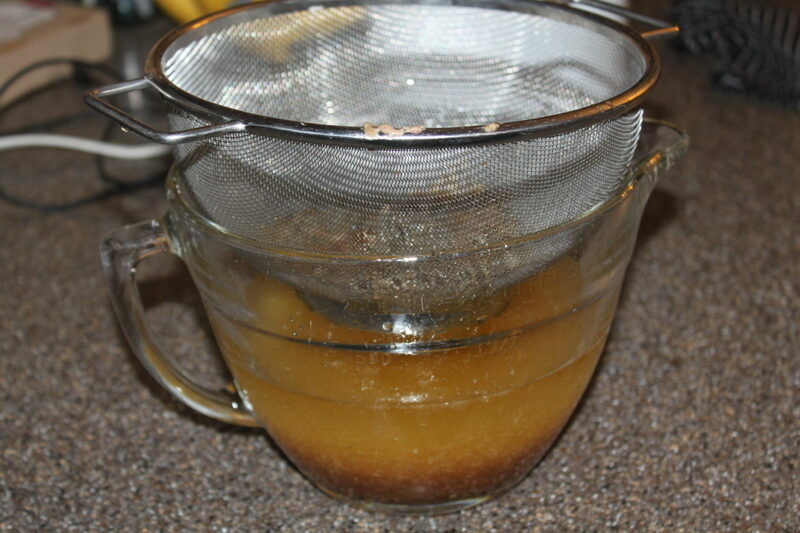 After you remove your turkey from the roasting pan, make sure to save all those drippings for the perfect gravy! Whisk in the flour, stock and seasonings over low heat and simmer. *You can also make this recipe omitting the turkey drippings for a make ahead gravy. 1. Pour turkey drippings in a medium size sauce pan and place over low heat. 2. Whisk in flour and bring mixture to a simmer, stirring occasionally until golden brown – approximately 5 minutes. 3. Gradually whisk in the stock until gravy is smooth. Add additional water if desired. 4. Season with salt and pepper and add celery salt. Simmer for 15 minutes to allow gravy to thicken and the seasonings to blend. Pour turkey drippings in a medium size sauce pan and place over low heat. Whisk in flour and bring mixture to a simmer, stirring occasionally until golden brown - approximately 5 minutes. 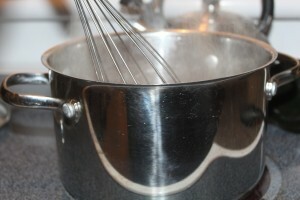 Gradually whisk in the stock until gravy is smooth. Add additional water if desired. Season with salt and pepper and add celery salt. Simmer for 15 minutes to allow gravy to thicken and the seasonings to blend.